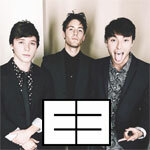 The Pullo Center at Penn State York welcomes Emblem3 to its stage on Sunday June 26, 2016 at 7:30 p.m. Ticket prices are $125 VIP and $35, and will go on sale February 19 at 10:00 a.m. Members can order now. Tickets can be purchased at The Pullo Center Box Office, charge by phone at 717-505-8900 or online at ThePulloCenter.com. Barely into their teens music took precedent over everything else and the brothers, Wesley and Keaton, left home for California in pursuit of their dreams. They were playing to intense and adoring crowds all over the Sunset Strip, and had won the top prize in Rock N' Road's Orange County Battle of the Bands. But the ambitious group, looked at a blank white board and their dwindling bank accounts, knowing they needed a bigger break. They were given one with an audition for "X Factor," where they wowed Simon Cowell with their original performance of "Sunset Blvd." -- no easy feat. But as Emblem3 progressed through the show's process, they once again sensed that they were being misunderstood and molded -- as young men who could easily be seen in teen magazines, Emblem3 could easily feel the push for them to be seen as a "boy band." Their unwillingness to compromise may have cost them in the short term; they failed to make the finals of "X Factor." But having amassed 20 million YouTube views and an international fan base, they were clearly the show's breakout band. Winners of the 2014 Teen Choice Awards "Breakout Group" alongside a Top 20 single and over 400,000 concert tickets sold worldwide, Wesley and Keaton were just getting started. Now, reunited with band-mate Drew Chadwick , E3 is ready to release their brand new album and head out on the road with a national tour. It's fitting: nothing's ever been planned for Emblem3, and things always seem to take an unusual curve, but it always ends up in the right place.